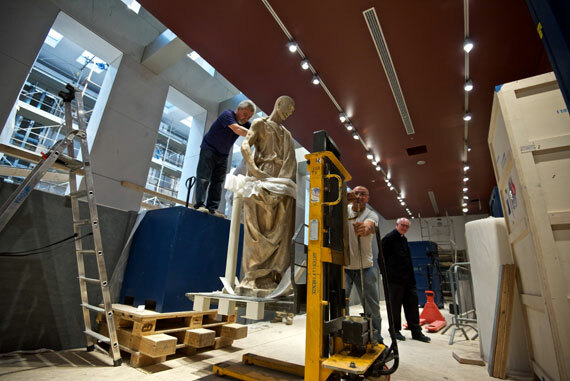 There is a lot of excitement in Florence as the grand re-opening of the Museum of the Opera del Duomo approaches on October 29th! 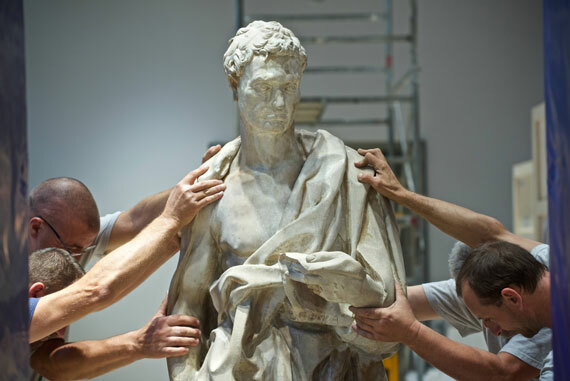 Think works by Michelangelo, Donatello, Lorenzo Ghiberti, Luca della Robbia, Andrea del Verrocchio and many others to admire once again, with 130 of them being restored for the new museum. 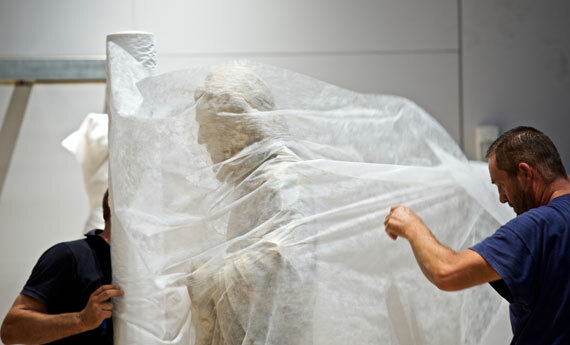 I am super excited for the museum to reopen and to share several photos as the works of art start finding their new home within the museum this month! 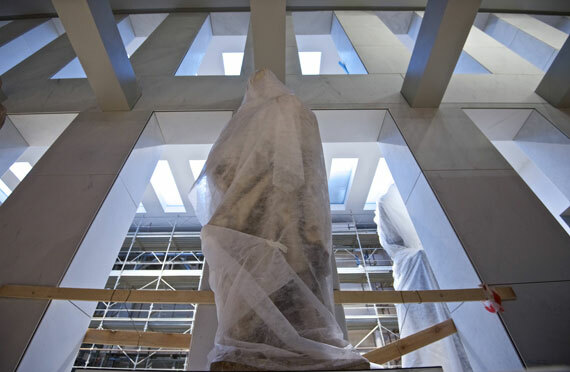 In the photos throughout (photo credit Claudio Giovannini), you can see some of the sixteen statues from Giotto’s bell tower that were the first to come out of their protective coverings and are placed within the museum. Among the bell tower sculptures, you’ll see the Prophets by Donatello, Abacuc and Jeremiah (said to have inspired Michelangelo’s David), and his two Evangelists that decorated the cathedral’s facade. The “Opera del Duomo”, the foundation created 719 years ago to oversee the construction of Florence’s cathedral, has been in charge of the maintenance of the cathedral ever since. Think that it was the body that commissioned the creation of every single statue you see decorating the cathedral, the choir booths, the great dome! Did you know the facade of the cathedral designed by Arnolfo di Cambio was never finished, and that it was removed in 1587? 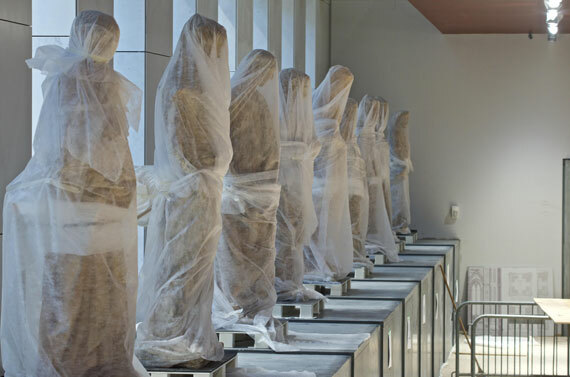 Many of the statues taken off are still in the museum today. A new facade was begun and again not finished… the one you see today was only finished in 1887! 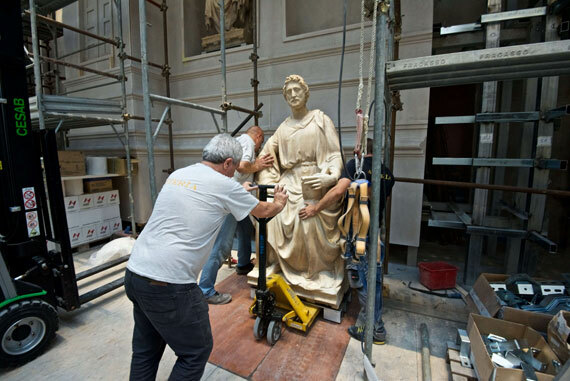 Even today, the Opera has master sculptors that check every centimeter of the cathedral and sculpt copies of original statues if they show signs of wear. The originals will go into the museum. 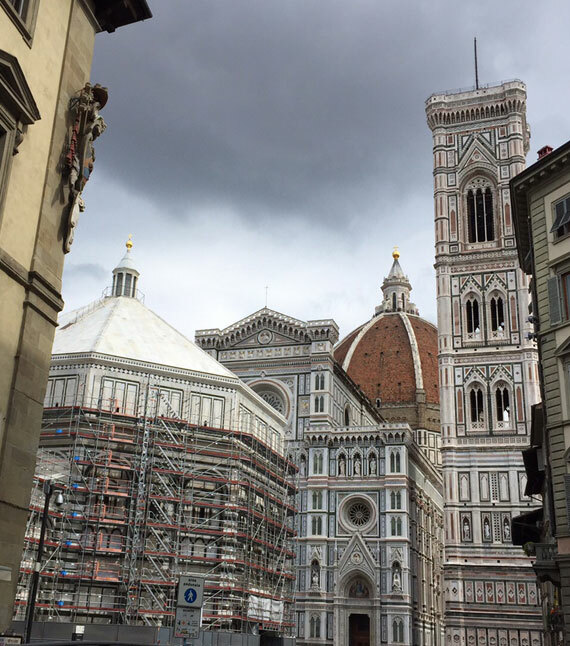 Essentially, Piazza del Duomo is a construction site that has never closed! The Museum of the Opera del Duomo was a natural creation to house the works of art, including many statues, that decorated the cathedral for hundreds of years. 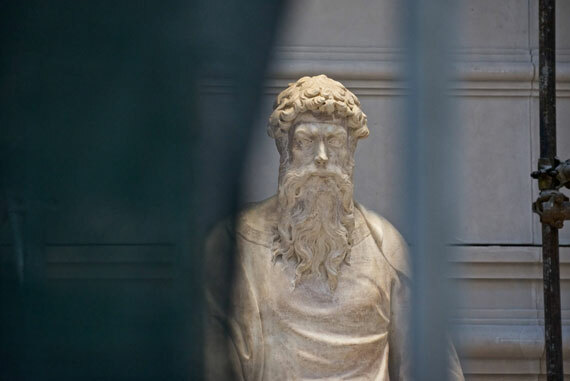 The old museum was almost a “hidden secret” in Florence, as it was off most everyone’s “must-sees” in Florence. But it has many masterpieces that you will find only here, including the original restored golden “Gates of Paradise” by Lorenzo Ghiberti. Most stop to admire the copies on the Baptistery but you can get closer to the originals and see the marvelous genius of the man that was able to design and create these bronze doors. I hope you can continue to do that in the new museum, the new layout has not yet been shared. 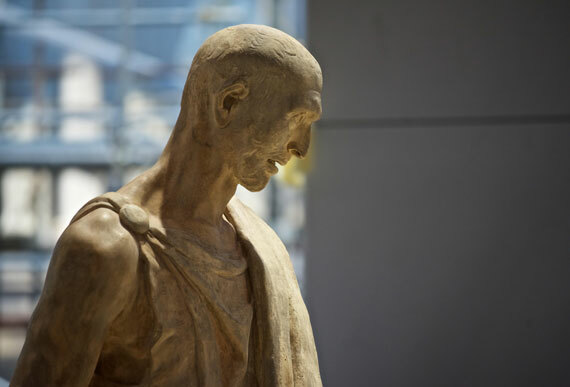 The old museum had many great works of art, including Michelangelo’s Pieta and Donatello’s Mary Magdalene carved in wood. The Pieta, however, was in a landing halfway up the stairs between floors with poor lighting and no big sign to indicate “hey, here’s a Michelangelo masterpiece” right here. It was almost hidden! You also had to go on a search for Donatello’s Magdalene if you knew it was at the museum or be pleasantly surprised if you happened to stumble upon the right room (the one with silver chalices and vestments). For this reason, the news we have received about the new museum has been so exciting! 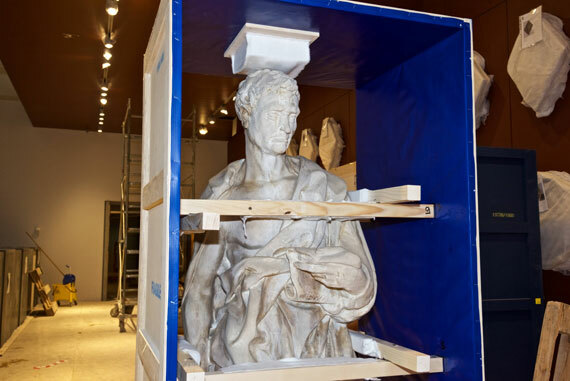 All of the major works will be centrally displayed and have lots of room around so that you can admire them completely! First off among the new things is the size. The Opera del Duomo reacquired some adjacent buildings to expand: around 6000 square meters and 25 halls over 3 floors. This will allow more space for the works of art to be better displayed. 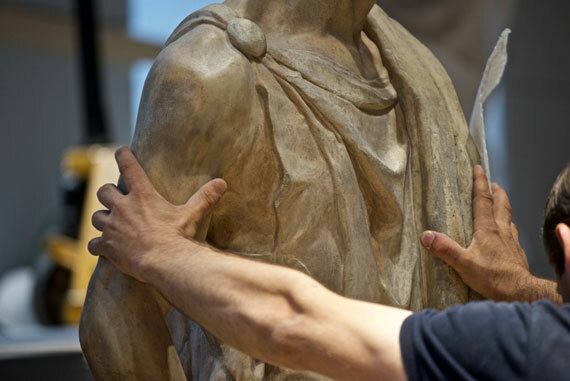 Consider there are over 750 works which represent the most important collection of Florentine sculpture in the world! 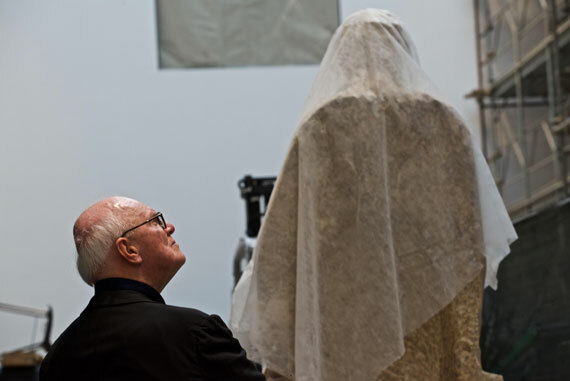 Statues and reliefs from Medieval times and the Renaissance in marble, bronze and silver. Most of them were created for decoration, external and internal, of the cathedral, baptistery and bell tower. 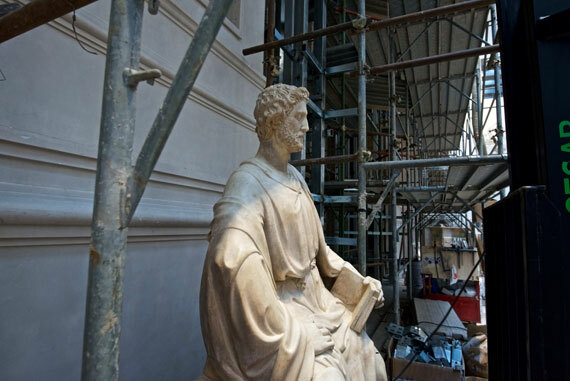 The museum’s extra space will also allow a reconstruction of the first facade, the one designed by Arnolfo di Cambio which was never completed! 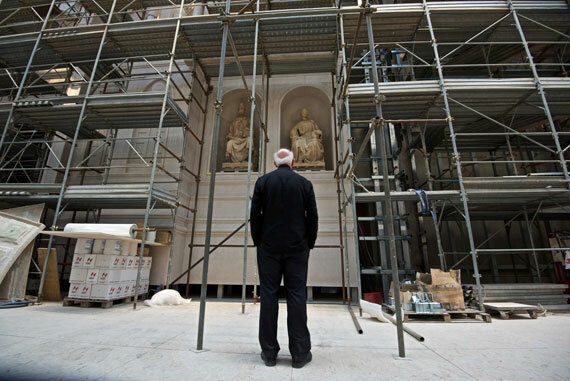 This means it will take the statues it has of the facade and place them to show how the first facade looked like. This illustration by Pierpaolo Putignano shows the Duomo with its unfinished facade by Arnolfo di Cambio. 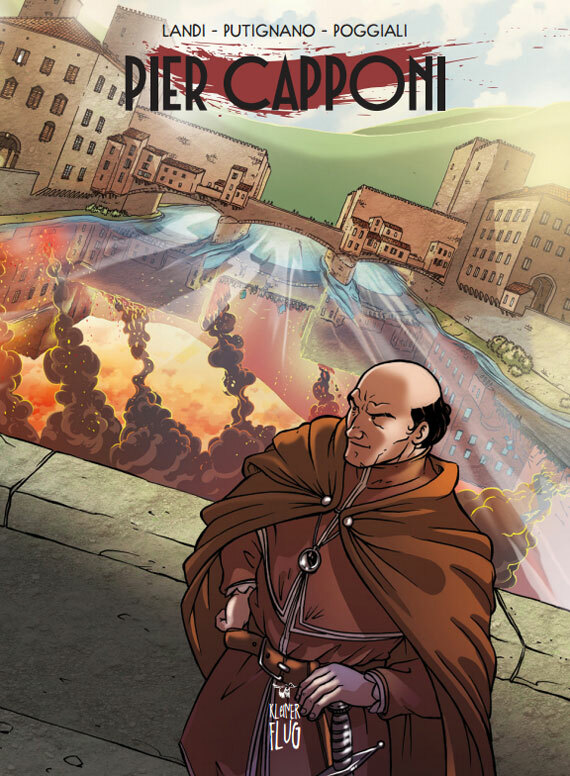 I just found this beautiful drawing by a friend, Pierpaolo Putignano, who has worked with local Tuscan comic book editor KleinerFlug to create a comic book on the life of Pier Capponi (all illustrations are by Pierpaola Putignano, script by Alessio Landi and colors by Pamela Poggiali). 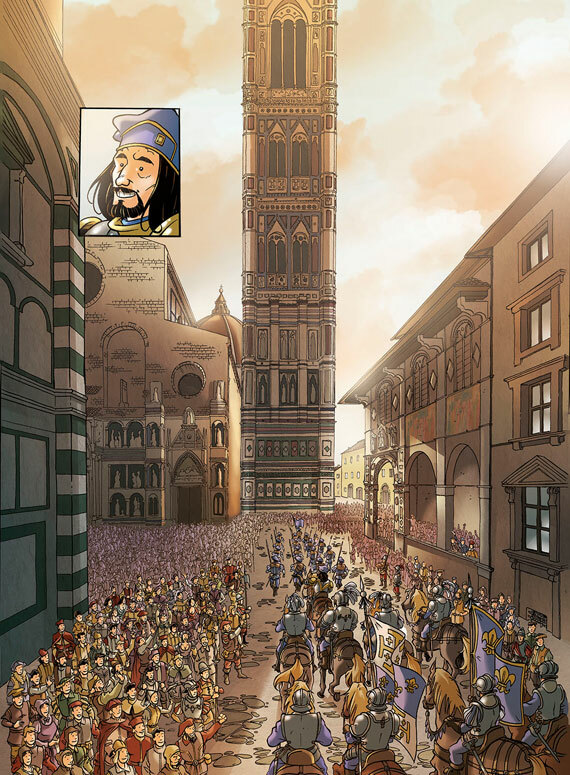 The year is 1494 and the drawing shows the meeting between Pier Capponi and King Charles VIII of France in Piazza del Duomo. I was quite intrigued by the drawing since it shows how the facade of the Duomo must have looked like then! This is a book in a series dedicated to other great Tuscans of the past, such as Giotto, Galileo and Donatello. The comic book form is an interesting way to present important characters from the past to readers of all ages who will enjoy the stories through illustrations. A great project I was happy to learn about and love to share with you. The Pier Capponi book will come out in late October, just in time to be presented and sold at Lucca’s Comics and Games convention. For more information, or to buy the other books, check the editor’s site linked above but don’t forget to check out more illustrations from the book on Facebook too. They are a small publisher, so look forward to supporting their work by buying up the entire series to learn more about these famous Tuscan figures of the past! 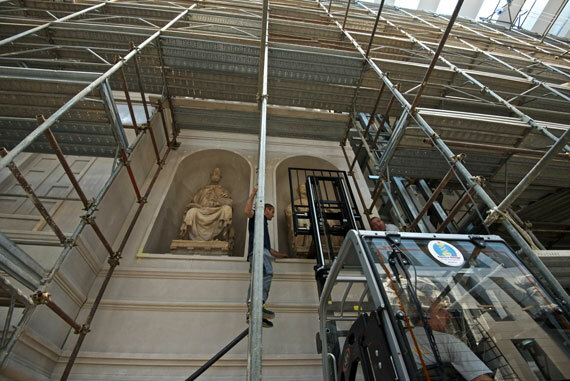 Last piece of news: the Baptistery‘s renovation is almost complete! The external scaffolding has started coming down and should be gone by October 25th. The restoration started in February 2014 and removed the grime and dirt accumulated on all 8 sides of the baptistery, the roof and lantern. The last full clean-up was over 70 years ago. The Northern Doors from the Baptistery have been restored and were moved to the new museum just last week.